How to strategize for DI? CAT 2018 aspirants should note that DI (Data Interpretation) is the calculation intensive portion of the section. 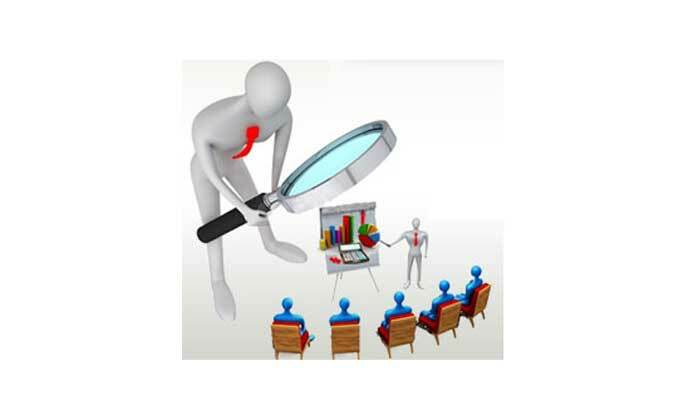 It consists of a myriad of graphs, charts and tables from which you will have to glean and analyze data. The key to cracking this area is to quickly identify the key pieces of data that you will require to work on the questions asked. It is not unknown for question-setters of the CAT to try and bewilder students with a large amount of data, most of it unnecessary. As a rule, the more the data presented, the easier the questions that follow, so don’t lose heart if you see a table with 10 columns occupying one whole page. CAT 2018 aspirants who are appearing in exam on coming 25th November 2018 may also note that Data interpretation (DI) is not a subject to be learned instantly. It improves with practice. Regular practice can do wonders in your speed as well as analyzing case lets. Directions for questions 1 to 3: Answer the questions on the basis of the information given below. 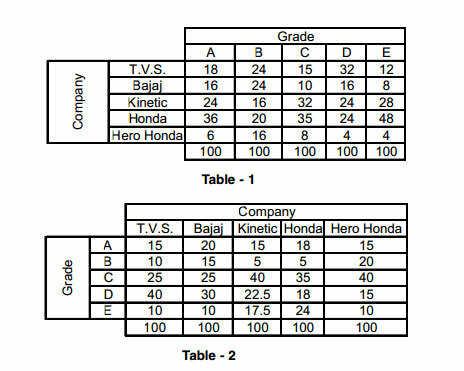 The following tables show the sales of five motorbike companies T.V.S., Bajaj, Kinetic, Honda and Hero Honda across various grades in India. Table - 1 gives the percentage breakup of the sales of the different grades of motorbikes across the different companies. Table - 2 gives the percentage breakup of the sales of motorbikes of the various companies across the different grades. Q 1: What is the ratio of motorbikes sold across the different grades in the order A, B, C, D and E? Q 2: What is the number of motorbikes sold in Grade ‘B’ by Hero Honda? Q 3: In which grade is the total number of motorbikes sold equal to the total number of motorbikes sold by one of the given companies? Let’s compare the percentage breakup of Honda with the different grades. 18% of the total sales of Honda is equal to 36% of the total sales of Grade A motorbikes. Let’s denote the total sales of Honda and Grade A motorbikes as H and A respectively. Since only the percentage breakup is given, the number of motorbikes sold cannot be determined.